Platinum Play is Canadian friendly online casino established in 2004, and is controlled by the Fortune Lounge Group. Platinum Play is licensed in Malta and is operated by a company called Digital media Limited and is powered by Microgaming software and offers more than 500 casino games with over 300 of them are online slot games for all the players across the world except US players. Platinum Play Casino uses Microgaming software and offers over 500 high quality casino games to all the players. Players can play games by either downloading the software on their PC or through Instant Flash version on their cell phone or tablets. Platinum Play casino offers everything from Single-hand Blackjack to Multi-hand Blackjack, and even the Gold Series Blackjack. In addition, there are a number of variations among them, including Atlantic City, Vegas Downtown, Vegas Strip, Spanish Blackjack, and European Blackjack. Online slots are always popular, and Platinum Play online casino has your choice of reel slots, fruit slots, MegaSpin slots, and video slots. They have a huge collection of different variants such as Thunderstruck 1 and 2, Tomb Raider, the Dark Knight rises, Immortal Romance and more. Progressive Jackpot games include Mega Moolah, King Cashalot, Cyberstud Poker, Major Millions, and Roulette Royale. Card and table games include Roulette, Blackjack, Baccarat, Craps, Multi-hand and 3 card Poker. Video Poker games have different variants such as Joker Poker, Deuces Wild, and Aces and Faces. Platinum Play casino offers single-hand video poker as well as power video poker with the option of playing multiple hands at a time. Games like Jacks or Better and Joker Poker are only a few of the options to name. There are also quite a few table games. Baccarat and Craps are available, as is Roulette, the latter offering American with double zero and European with only the single zero pocket. The fun also extends to parlour games like Keno and scratch cards. Enjoy Live dealer games like Blackjack variants, Roulette, Baccarat, Card games and Wheel fortune games like Dream Catcher and more. All the live casino games are powered by Evolution gaming and note to play at live casino you need to make a deposit in real CAD. You can enjoy slots and other casino games even with download the casino app from app store. 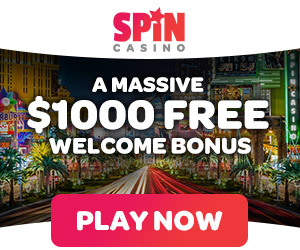 When you join the casino for the first time with your PC or cell phone you are offered welcome bonus of CA$1000 plus 100 free spins. Your bonuses and Free Spins will be credited to your account automatically after making your respective deposits. Some customers enjoy the league play offered to players. The International Slots League includes a leader board and reward points, with the top prize being tickets to an ocean cruise. The International Casino Games group is also fun, with millions of prizes set for the events. Platinum Play Rewards is an amazing loyalty points program. Points can be redeemed for casino cash credits, and all players on the website can participate at no cost. Every bet on the slot games on the website earns one loyalty point, and every five credits at a table game earn one loyalty point. Every 1,000 points equals 1 cash credit, and a minimum of 5,000 points is required for redemption. Players can also climb tiers of loyalty, from Silver to Diamond and further, which offers extra bonuses depending on the tier reached. There are special weekly and monthly promotions open to all players. In addition, as a Fortune Lounge member, you have an open invitation to compete in a variety of special daily and weekly tournaments, including those of the International Slots and Blackjack Leagues, reserved exclusively for Fortune Lounge Players. Platinum Play Casino offers Canadians easy to use banking options to players to withdraw or deposit funds to their accounts. Players can choose from all popular debit/credit cards or eWallets such as – MasterCard, Visa, Instadebit, Maestro, Neteller, Skrill, iDebit, PaySafeCard, EcoCard, Bank Transfer, Click2Pay, Entropay, ClickandBuy, eCheck, Flexipin; Neosurf and many others. You can have a minimum withdrawal of CA$500. The security aspects of Platinum Play online casino are of the utmost importance to the site and its parent company. To ensure the safety of every customer’s private information and account numbers, they use 128-bit SSL Digital Encryption for protection. The software used is also monitored by Risk Sentinel, a top notch fraud management system that ensures player protection from fraud. The site has the eCOGRA seal of approval, meaning that the site is official deemed “Safe and Fair” by the auditors to treat customers fairly and in an unbiased manner. Copyright © 2019 Canada Win. All rights reserved.